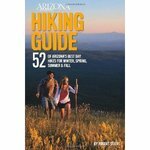 52 of the best day hikes in Arizona one for each weekend of the year, organized by seasons. Selected hikes ranging from easy walks in the woods to challenging journeys to Arizona s highest peaks and deepest canyons including the Grand Canyon. In-depth trail guides, descriptions, warnings and GPS coordinates are included with each hike, along with the magazine s classic fine photography.